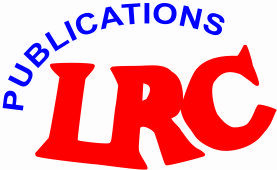 The The LRC Published altogether 22 books, one DVD and one CD. Since August 2010 the LRC published four books and one CD, namely, Sebastian Naduthadam, Editor, Spirituality of Syro-Malabar Church, 2010; The Sacramentals of the Syro-Malabar Church, 2010; Peter Kannampuzha, (Indian Edition), Qambel Maran: Syriac Chants from South India, 2013; Bp. Bosco Puthur, Editor, Kardhinal Thiseranginte Athyathmiga Jivitham, 2013; Peter Kannampuzha, Editor, Consecrated Life: A Call to Wake Up the World, 2016. LRC, Mount St. Thomas, P. B. No 3110, Kakkanad, 682030, Kochi, India.